Total body wellness effects more than your weight. Your dietary choices are also visible on your skin! The face you show the world should is representative of what you put in your body day in, day out. Sure, skincare is helpful in keeping your skin healthy & youthful, but the real secret to having clear, glowing skin is to treat it through nutrition. Whole grains – think whole wheat pasta, Ezekiel bread, quinoa, couscous – keep your body’s insulin levels steady as your system starts to break down the carbohydrates for energy. Choose the whole grain option over refined carbs like white bread, white pasta and sugar. A high-sugar diet causes surges of hormones that can cause acne and inflammation. Salmon, walnuts and chia seeds are all packed with omega-3 fatty acids. In addition to protecting your brain, joints and heart, omega-3s reduce inflammation. When you are inflamed, free radicals begin to wreak havoc on your face by attacking collagen. In turn, you will begin seeing earlier signs of aging. Spinach, kale, squash and sweet potato all contain beta-carotene, which is a powerful antioxidant. When beta-carotene is processed by your body, it converts to Vitamin A. Vitamin A is responsible for increasing cell turnover: the process of shedding dry, textured skin in place of fresh, new cells. Your skin cells are made up of mostly water, just like the rest of your body. If your face is dry, it’s an indicator that your body is dehydrated (even mildly!). Drink water consistently throughout the day to keep all your organs functioning optimally. Caffeine and alcohol dehydrate you, so consume extra water if you’re considering that second cup of coffee or third cocktail. Of course, a diet that is centered around whole foods, plenty of water and raw nutrients is great for all parts of your system, but it just so happens that your face is the most telling account of your diet. Skincare can only correct so much of what is truly coming from within, but that doesn’t mean you should ditch any of your favorite products! 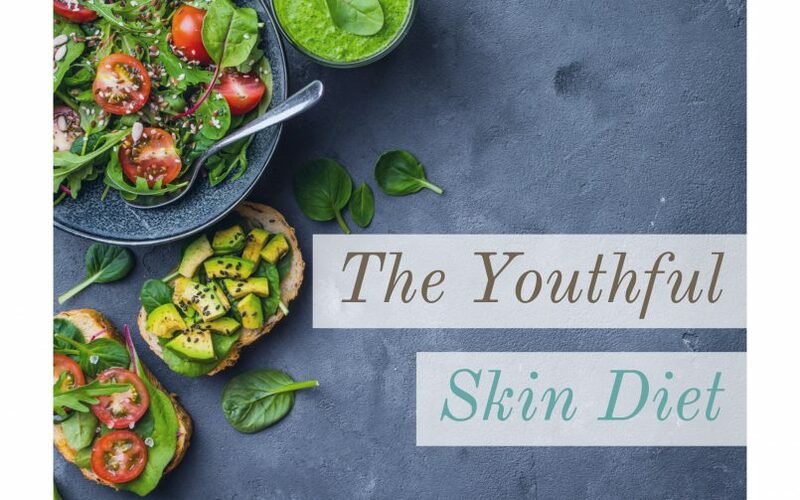 A consistent, personalized skincare routine coupled with a balanced diet is the real key to clear, youthful skin. Added bonus: address your stress levels! Believe it or not, stress is a huge factor in skin health and appearance. Stress tells your body to create more hormones like cortisol, which in turn tells your face to produce more oil. Oil can lead to breakouts, inflammation, and irritation. By adapting your lifestyle to be more zen, you help your skin remain balanced. As always, I am available for initial consultations to discuss nutrition and general lifestyle choices with you to keep you healthy & youthful, from the inside out. Give me a call at 920-499-3333 to schedule an appointment.